Physics, Stonebridge, DJ Licious ft. Billie, ThomChris, Ariana Grande and more. 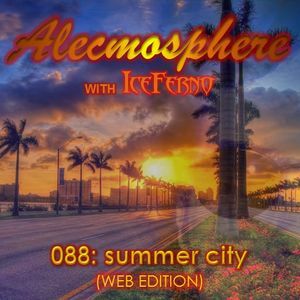 The online/on-demand edition of Alecmosphere 088: Summer City, from August 2nd 2015. Web editions of my show don&apos;t feature my voice, since we have the titles here. My show airs Sunday nights from 9-11pm (UK time).